On January 16, 2019 CIS filed a lawsuit in the District of Columbia against Richard Cohen and Heidi Beirich. Mr. Cohen is the president of the SPLC. 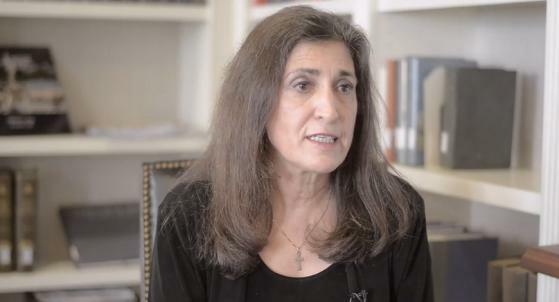 Ms. Beirich is the director of SPLC's Intelligence Project. Cohen is an attorney (University of Virginia Law); Beirich has a PhD in political science from Purdue. The nature of the suit is civil RICO … yet they are not suing the organization. Perhaps they think that by eliminating the SPLC they eliminate the litigation insurance. It is permissible to sue individuals under the RICO statute but ordinarily this occurs when an organization cannot be identified. Civil RICO suits are very complicated. The injuries suffered by the plaintiff have to coincide with one of the causes identified in 18 U.S.C. §1961. You can visit the link and judge for yourself. CIS claims that they are just a repeater of government information. CIS claims that immigrants do not have an immutable characteristic. Hence CIS cannot be deemed a hate group. They ignore the word typically. They claim that all of this demonstrates a pattern of racketeering activity. They are looking for an injunction to stop the SPLC from listing CIS as a hate group and then, ultimately, an award for damages. The Southern Poverty Law Center listed CIS as a hate group for the first time when our annual count was published in February of this year . The designation resulted primarily from their move to start publishing the work of discredited race scientist Jason Richwine (who was once forced to resign from the arch-conservative Heritage Foundation) and their shocking circulation of an article from one of America’s most prominent white nationalist websites and another written by a fringe Holocaust-denier [John Friend] in their weekly newsletter. As the Anti-Defamation league pointed out in 2013, John Friend is a virulent anti-Semite who promotes the anti-Semitic myth that Jews are responsible for non-white immigration to the U.S.. Ironically, the ADL piece involves Center for Immigration Studies and John Friend. CIS drew Judge Amy Berman Jackson. Jackson is an Obama appointee and an expert in criminal law. Jackson, by the way, is the judge who revoked Paul Manafort's bail. I expect Judge Jackson to have a very short fuse for nonsense like this. Then again, I expected Coral Ridge Ministries' suit against the SPLC to be dismissed in 2017 (see below). CIS has hired a RICO specialist, Howard Foster out of Chicago. This is going to get very expensive for them. The calculus: Can they raise more money off of this suit than their legal expenses? From time to time I have harbored doubts about one or two designated hate groups. My doubts usually mean that I have not done enough research. I have no doubt — I have never had any doubt — that Liberty Counsel is a hate group. Most recently they have been attacking transgender and gender nonconforming kids. Children! The fact that Staver claims that Liberty Council is a Christian group is irrelevant. I am Jewish but from what I know about Jesus Christ, he would be appalled by the actions and statements of Liberty Counsel which do violence to a vulnerable minority group. Defamation usually requires a misstatement of fact. Given that the SPLC quotes hate groups in the own words the information cannot be defamatory. Staver does not like the fact that, in SPLC's opinion, Liberty Counsel is a hate group. It is like trying to sue the New York Times for an editorial that you do not like. Staver is implying that the SPLC is responsible for a crazy person who shot a security guard at Family Research Council which is also a doubtless hate group. It is irresponsible — frankly silly — to blame a group dedicated to stopping violence for an act of violence. FRC says awful things about LGBT people every day. Violence is not the answer to their bigotry. At the same time I understand how people can be very upset over the things that these hate groups do. In no way whatsoever am I excusing violence. I am just identifying what is responsible for engendering violence. Here is the evidence that it is untrue. “The Center for Immigration Studies’ lawsuit is another example of how the Southern Poverty Law Center is a discredited organization that maliciously lies about its opponents in order to destroy them,” said Mat Staver, Founder and Chairman of Liberty Counsel. “The SPLC is not dedicated to truth but rather dedicated to destroying its political enemies,” said Staver. Malicious? A hate group leader is accusing a civil rights organization of being malicious. Furthermore, the SPLC does not view hate groups as “opponents.” It is the other way around. Hate groups view the SPLC as an opponent. It's an important distinction. The same is true of Staver's reference to “political enemies.” Hate groups view the SPLC as a political enemy. The SPLC doesn't see identifying hate as a political endeavor and it doesn't view hate groups as enemies. If anything, the SPLC is indifferent to anything beyond identifying hateful activity. Executives at the SPLC do a very hard job and they literally put their lives at risk. The LGBT community owes them a debt of gratitude for identifying groups like Liberty Counsel and Family Research Council. If these and other groups don't like being designated as hate groups then they should stop behaving as hate groups. Suing the SPLC is just another waste of taxpayer dollars and court resources. The Coral Ridge lawsuit against the SPLC and the AmazonSmile Foundation is still alive. A magistrate recommended that the judge dismiss the suit. The judge heard oral arguments last May. Nothing has happened since then except that the judge was replaced a week ago. I cannot find a profile on the new jurist. I think that he is a Trump appointee but I do not know for sure. Suing an organization over its opinions should be a non-starter. Instead of referring the case to a magistrate in 2017, when this case started, it should have been dismissed. I find it outrageous that this clearly frivolous case has not been spiked.